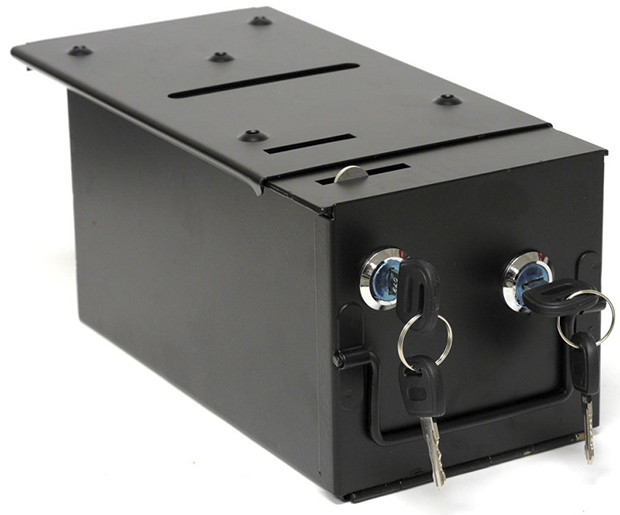 This is a high quality dark gray textured Homestyle Drop Box with 2 Locks & Locking Top Plate. We offer this as an alternative to the professional casino style drop boxes that we carry. It is made for small poker clubs or any game table where the high security is not needed. This drop box has dual locks for safety. 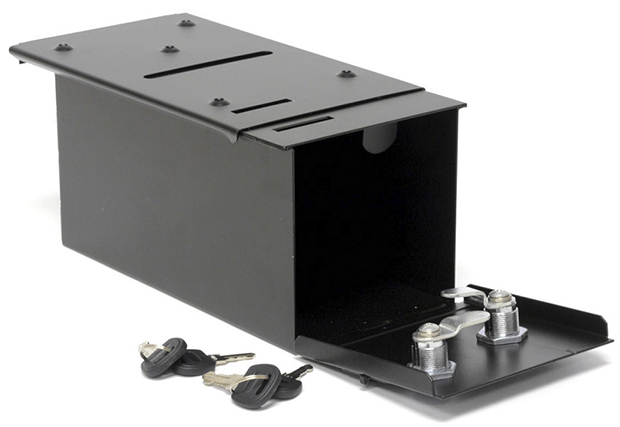 One of the locks releases the box from the upper shield which is attached to the table with five screws. The other lock opens the front of the box. Holds both chips and paper money. This can be used with money paddle and money slot or a poker drop slide (chips must be dropped individually).